I've always loved Halloween. It's the one day of the year where it's socially acceptable to be a bit of a goth without anyone batting an eyelid. When I was a moody teenager, I used to stock up on all the skull related paraphernalia to decorate my bedroom all year round. I had a belting pair of skeleton candles. Imagine my excitement when I found this skull tin in Williams Sonoma for $9 last year!? You couldn't get a kick up the backside for that. This cake is really very easy to make when you have such a fantastic mould to work with. This one is Nordic Ware (naturally), therefore was a dream to work with. You can use any of my bundt recipes to make this cake, although I would stay away from anything with 'bits' in like dried fruit or chocolate chips, as it will show through on the surface of the cake. The cake is baked in two halves; you simply trim each half to create two level surfaces, stick them together with a bit of buttercream or jam and decorate as desired. I used a simple jam glaze and a bit of green glitter to create this spooky Harry Potter Dark Mark-esque style cake. 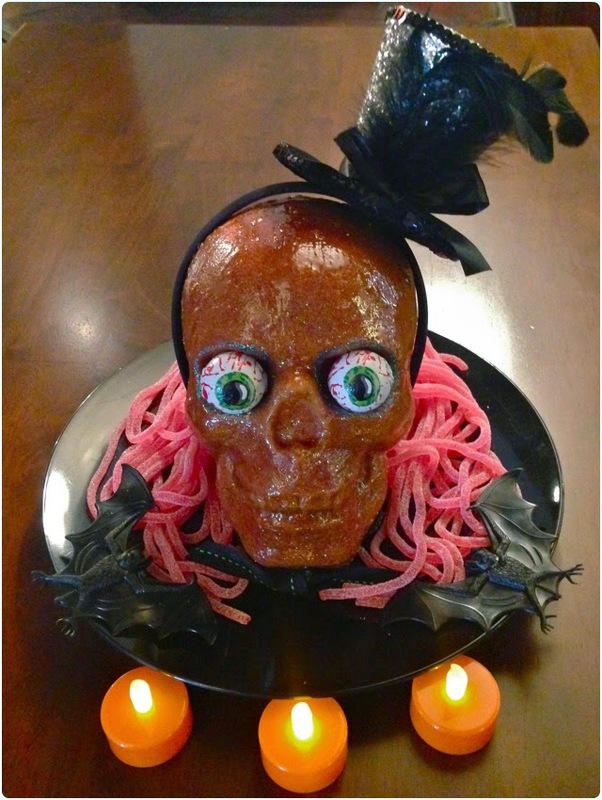 The eyeballs are just Halloween chocolates I found in Asda, and the 'guts' around the outside are fizzy strawberry laces. The fascinator was just a nifty way of disguising the join. 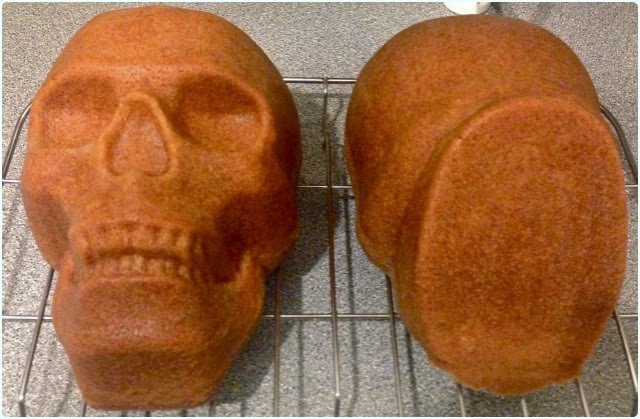 This really was very simple to make, yet has adequate spook factor to scare a small child (which it did). Don't you just hate it when time off work flies by because you've done nothing? Well a couple of weeks ago I had the exact opposite for the first time in ages. 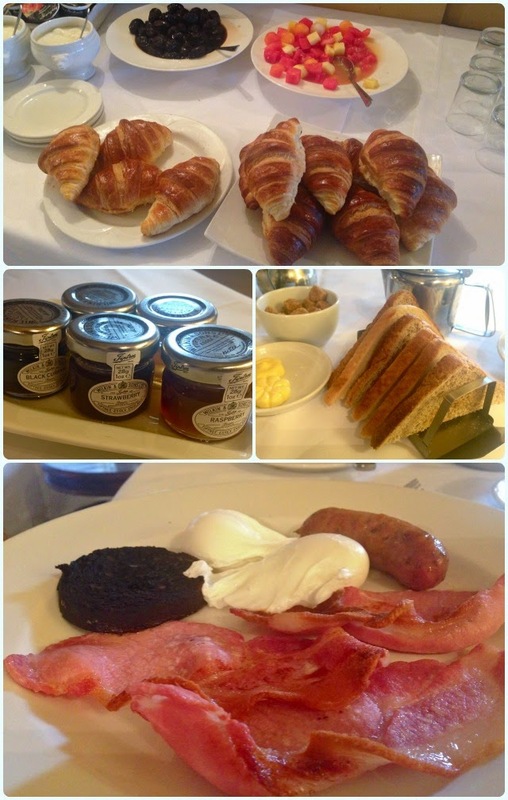 I went to London with my friends for a few days, then the husband and I retreated to Ox Pasture Hall Country House Hotel near Scarborough for the weekend. 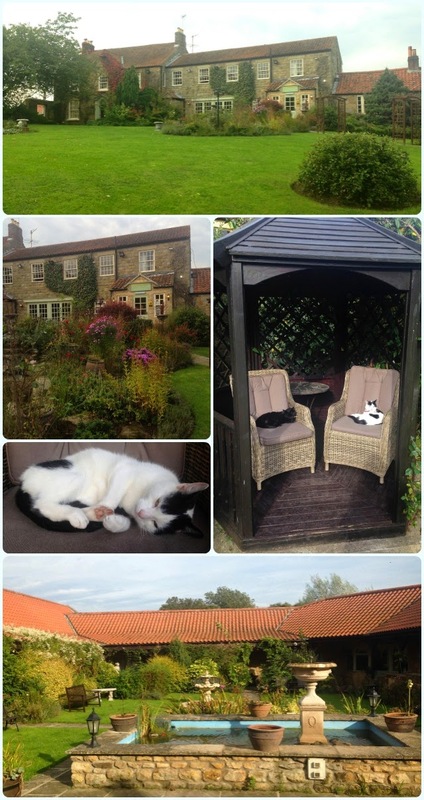 Set in the middle of rolling countryside, it's the perfect spot to relax, enjoy some cake and listen to the birds. They even have a cat welcoming committee. 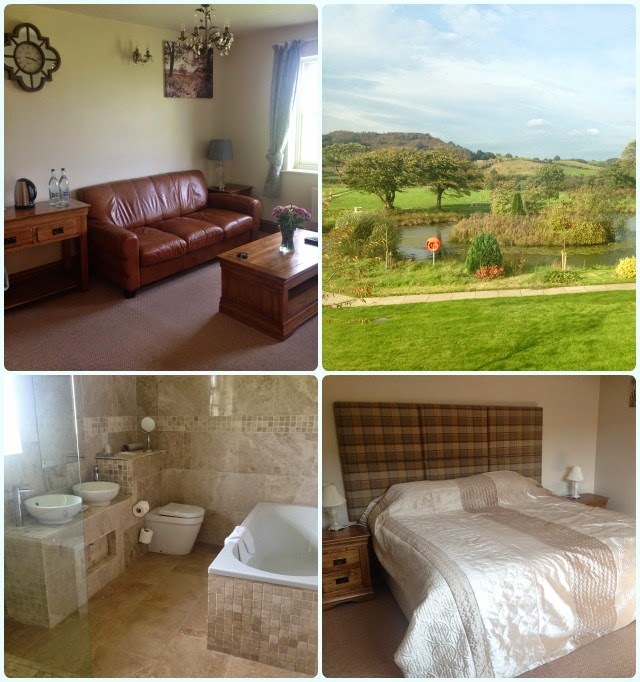 We were greeted by a pleasant chap when we arrived, who promptly took us to our beautiful suite which overlooked a pretty courtyard to one side and the beautiful Yorkshire hills to the other. Whilst we settled in, he arranged our afternoon tea to be served in the lounge area. This was impressive. 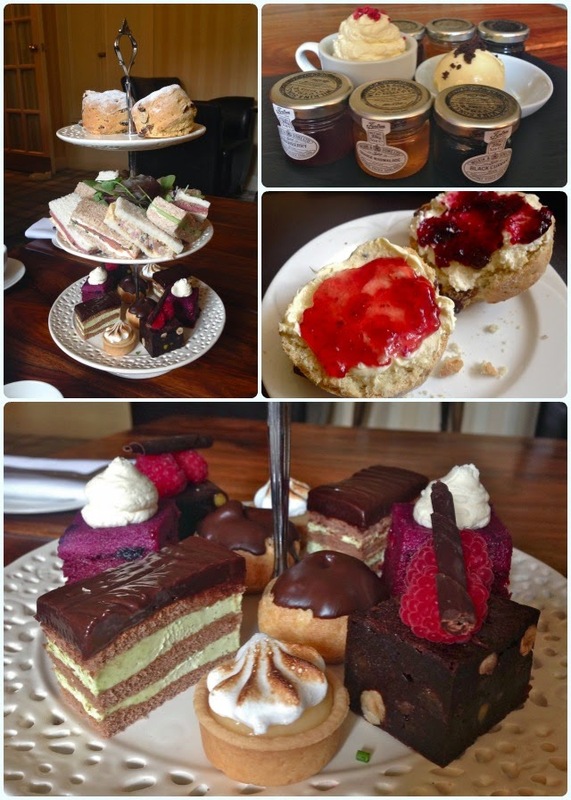 Home baked cakes and scones with a platter of freshly made sandwiches. I particularly liked the choice of clotted or whipped cream which came with a selection of different jams too. The cakes were no ordinary buns either. They were beautiful individual bite-sized chunks of happiness; including lemon meringue pies, summer berry puddings, brownies eclairs and chocolate mint slices. The only thing that could have made this any better was if the scones were warmed slightly. After our platter of goodies, we retreated to the bar for a little relaxation before dinner. 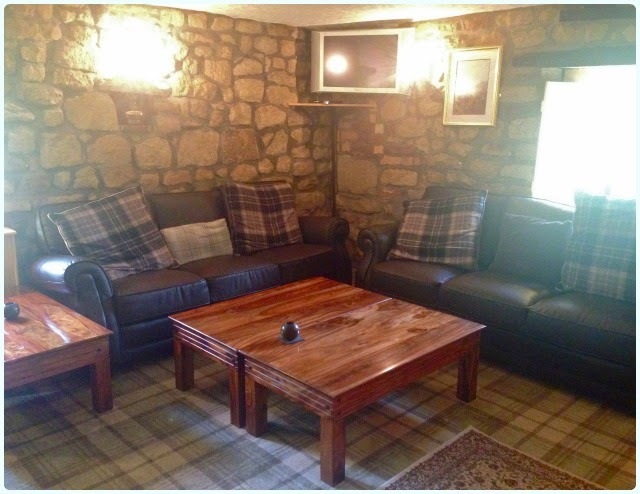 It has a homely feel about the place, with large leather sofas and open fires. Granted, the fires weren't on because it was warm outside, but I imagine they are lovely in winter. Suggestion from my husband - some local ales wouldn't go amiss here. 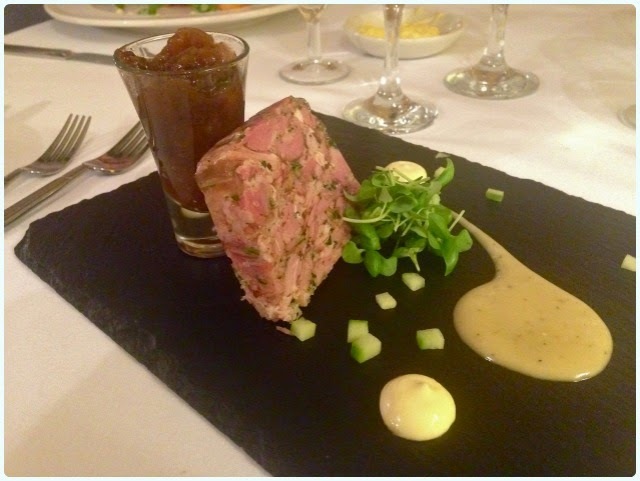 Dinner was served in the modern Courtyard restaurant, which is the only place in the Scarborough area to be awarded two AA rosettes. 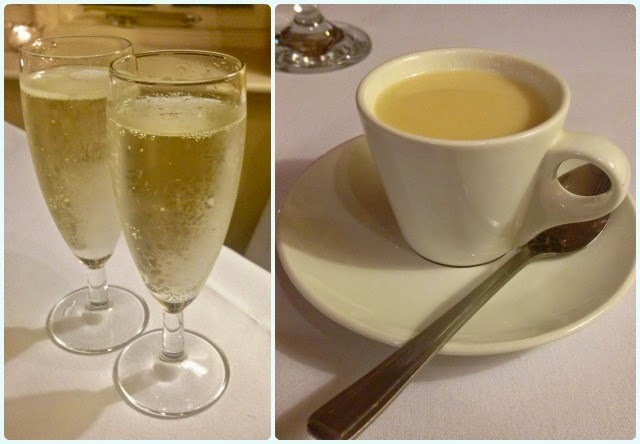 We were welcomed with a glass of Prosecco, which was swiftly followed by a creamy shot of chicken soup. The weather had just taken a turn for the worst (full on 'End of Days' Met Office weather warning panic stylee...) so this was the perfect antidote to a minor chill. Ham, egg and peas - mini ham hock, pea mousse, crispy quail egg, pickled vegetables, honey mustard dressing: A compact mini terrine from with lots of big flavours. 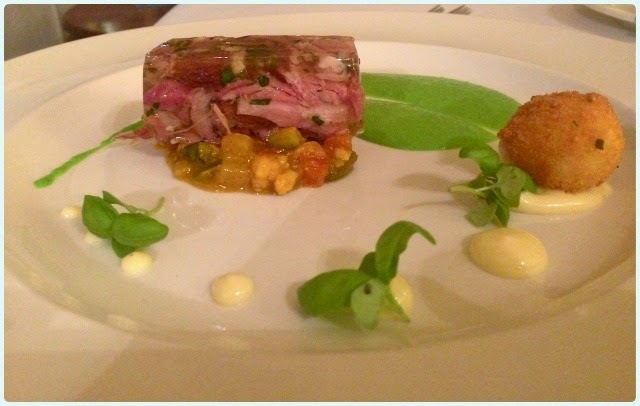 Ham hock terrine with homemade chutney: A more substantial version of the dish above, this time from the bistro menu. The salty ham went wonderfully with the sweet homemade chutney. Two bone rack of lamb, braised lamb boulangere potatoes, spring greens, broad beans and peas: Served nice and pink on a bed of potatoes layered with braised lamb. My husband was a huge fan of this concoction! 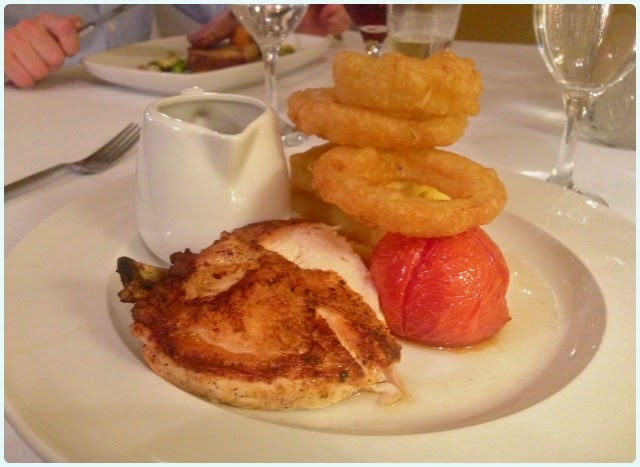 Chicken breast served with tripled cooked chips, onion rings and tomato: After the 'pig of the week' incident with the afternoon tea, I opted for a slightly lighter option. The chicken breast was moist with crispy skin and was packed with flavour. 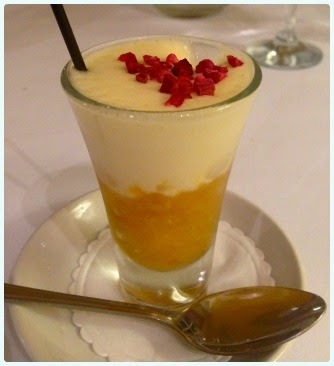 Caribbean Cocktail - coconut panacotta, mango rice pudding, passion fruit sorbet and pina colada: I wasn't sold on the idea of cold rice pudding, but I have to say this worked. 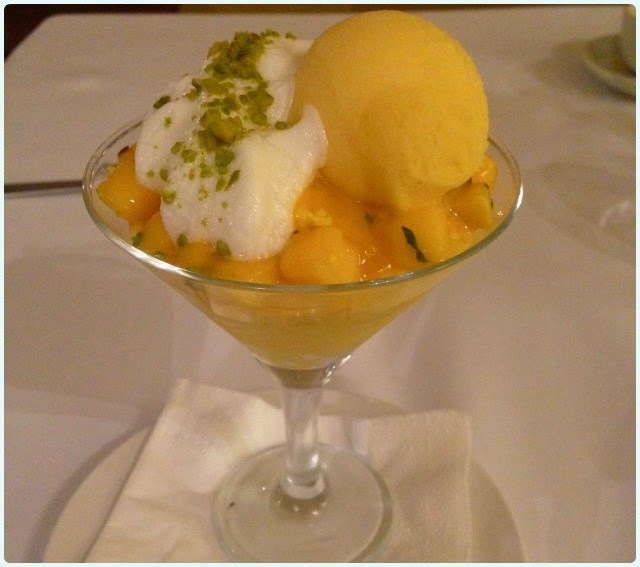 Very fresh, sweet and served with a healthy dose of brain freeze. 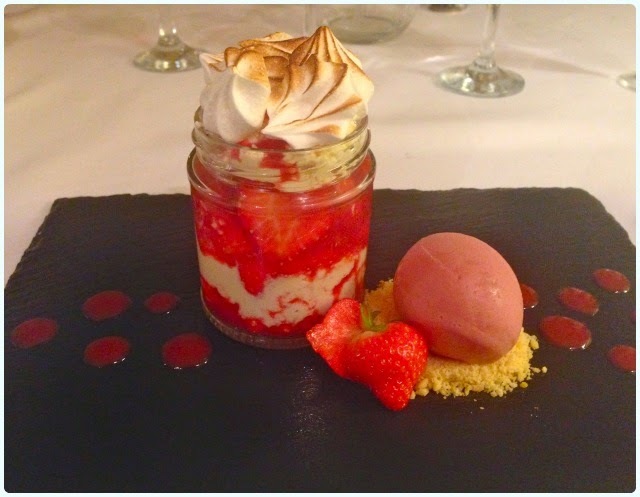 Eton mess with strawberry ice cream: This was my choice. Absolute heaven in a jar. I could eat this every day of my life. 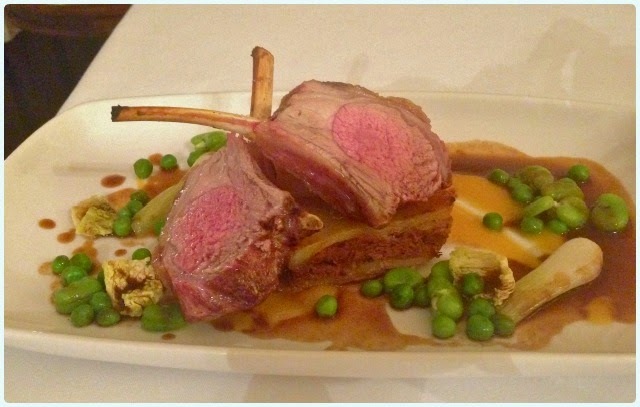 I have to say that I was pleasantly surprised by the standard of cooking at Ox Pasture Hall. Generally, pretty hotels like this are more about the 'get away', relaxation and scenery. The service was attentive and the atmosphere relaxed. One of my favourite parts was the mini whiskey and passionfruit sour 'shot' which appeared between the mains and desserts - you've got to love a cocktail with an egg white foam. There was a wedding on the day after, so there were a number of people from the wedding party enjoying dinner before the big event in the morning. I can imagine this would be a lovely location to get married. In the morning breakfast was served in the Courtyard restaurant. There was a continental selection which included fruit, cereals, yoghurts and pastries, plus the normal breakfast menu. Whereas my husband was up for his version of a 'Full Yorkshire' (to which they were very accommodating...), I stuck with some melon and a few slices of toast. We both loved Ox Pasture Hall. It's the perfect little getaway just far enough away from the hustle and bustle of Manchester to feel like you've got away from everything for a while. Disclaimer: I was invited by Ox Pasture Hall to come and do an impartial review as their guest. I was under no obligation to say nice things, but was genuinely won over when they presented me with scones after a long journey.